Below are recommended accommodations for the night of the Inauguration. We urge you to book soon, as space is filling up. La Fonda is the only hotel in Santa Fe located right on the historic Plaza. La Fonda on the Plaza showcases original art and furniture by New Mexican artists and is conveniently located near local galleries and attractions. Amenities offered in included WiFi, concierge, and on-site parking. To make reservations, contact the hotel's reservation department at 800-523-5002, extension #1 between the hours of (Mountain Time): Monday - Friday: 7am-8pm, Saturday: 8am-5pm, Sunday: 9am-5pm. To receive the special room rate, mention the Michelle Lujan Grisham Inauguration. Rooms in this block are available for the night of January 1, 2019. The Drury Plaza Hotel is conveniently located in the heart of downtown Santa Fe steps away from the Cathedral Basilica of Saint Francis of Assisi and the Institute of American Indian Arts Museum. The Drury Plaza Hotel offers a fitness center and has an on-site restaurant and room service. For reservations, please call Anna Espinoza at (844) 323-0798. NOTE: The room block for the Drury only covers the night of January 1st (and the 2nd if you are planning to stay an extra day). Anyone who wants to stay for the night of 12/31/18 as well can make a reservation by contacting Anna Espinoza at (844) 323-0798 or anna.espinoza@druryhotels.com. Named after the patron saint of Santa Fe, Hotel St. Francis is just a block from Santa Fe’s historic plaza. Hotel St. Francis, the oldest hotel in Santa Fe, offers guests a wide array of accommodations and amenities including an onsite bar, and indoor and outdoor patio seating. Please contact the Reservations Department at 1-800-529-5700 and mention the group code "B01L18" or that you are with the "Michelle Lujan Grisham Inauguration Ball Group Block" to gain access to the blocked rooms and special group rate. All reservations are due by December 30th, 2018. Located in the heart of downtown Santa Fe, the Inn and Spa at Loretto is near the Santa Fe Plaza, the Loretto Chapel of Santa Fe, and numerous galleries, boutiques, and restaurants. Amenities include an award-winning spa, casual fine dining, and a year-round heated garden pool. Reservations may be confirmed by calling the reservations team at 866-582-1646 and requesting the Michelle Lujan Grisham Event Rate, via our website with promo code GRISHAM. 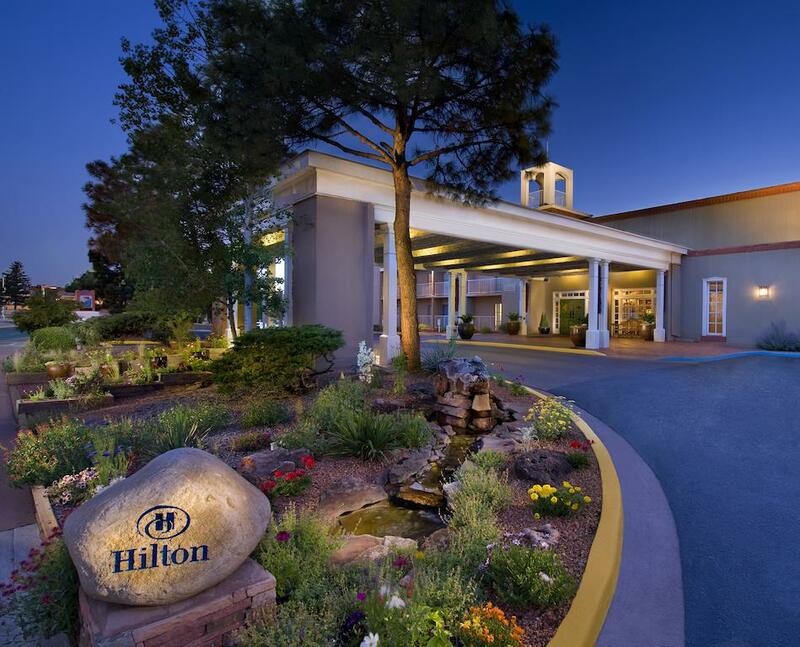 The Hilton Santa Fe is two blocks from the historic Santa Fe Plaza in downtown Santa Fe and is within walking distance of amazing cultural attractions like the Georgia O'Keeffe Museum, the Santa Fe Community Convention Center and fantastic shopping and dining venues. Amenities include on-site dining, a fitness center, and allergy-friendly rooms. The block is for the nights of December 31st and January 1st. Reservations may also be made may also be made by calling 1-800-774-1500 or 505-988-2811, or emailing Carla.montoya@hilton.com and asking for the Michelle Lujan Grisham Inauguration rates.